Sorry gentlemen. 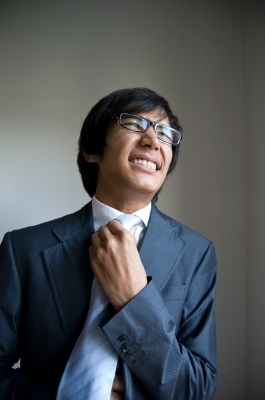 Even though they look damn spiffy, neck ties can pose serious health risks. It might sound like something from a third-rate new age health blog, but researchers from Cornell University found in a 1993 study that nearly 67% of men buy shirts that are smaller than their necks, a practice which poses some serious health threats. Tight shirt collars and neckties reduce circulation to the brain and increase intraocular pressure. Common symptoms of an overly-taut tie include headaches, blurred vision, and tingling around the ears. Though these are just minor nuisances, a continued increase in intraocular pressure can present severe risks to people with glaucoma. Ties also apparently increase the spread of contagious diseases and infections, since they are not washed as often as most clothing articles. Due to the increased risk of infection, British hospitals banned the use of neckties by doctors in 2007. This entry was posted in Furniture, Wardrobe and tagged circulation, glaucoma, infection, intraocular pressure, men's fashion, necktie, ties. Bookmark the permalink.